It's around in 39°C in Madrid today and expected to reach 41°C over the next couple of days. 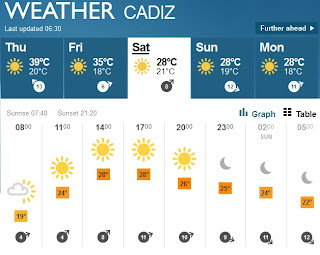 But I'm heading out of town at noon tomorrow... to Seville where the forecast is for 43°C. 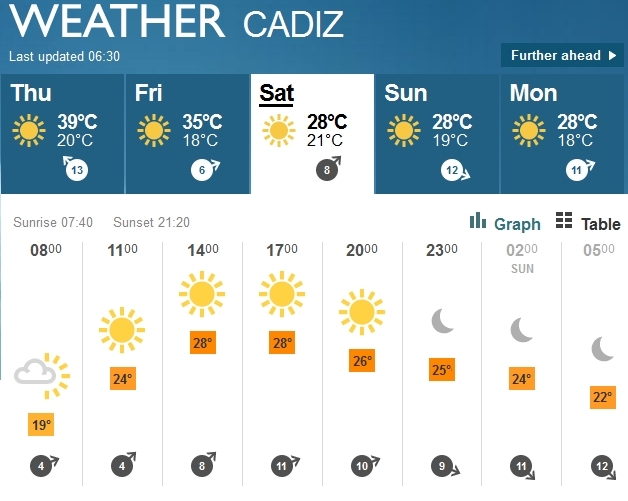 I think Saturday could be a good day for my day trip to the sea at Cadiz as it's expected to be a cool 28°C there. In the meantime, here in Madrid, I'm planning to break one of my own travel rules this afternoon. I don't like going to "Irish" pubs while on holidays, but I have a good excuse today: Katie Taylor's final is certainly not going to be shown on Spanish television, so I've checked with O'Neill's pub around the corner and they'll have it live. I'll be raising a glass of tinto de verano to her success, be it silver or gold! Why did I bring an extra travel bag?